Alone Eagle Remodeling is constantly researching the best products and methods on the market to ensure that our final product exceeds the expectations of our clients and meets our strict quality standards. We provide a FULL SERVICE – 1 Year Warranty on all of our projects, free of manufacturer defects and product failures. In addition, we will meet the expectations and offer assistance with any extended warranty or Limited Lifetime warranty of any product that we supply and install. NOBLE COMPANY Founded in 1946, the Noble Company has established a reputation of providing quality innovative products for the plumbing and tile industries. The Noble Company produces extruded sheet membranes for the tile and plumbing industries for applications that include sound isolation, waterproofing and crack isolation. LATICRETE Founded in 1956 in his garage by Dr Henry M Rothberg, a tile setter turned chemical engineer and inventor. Design, manufacture and service systems for the permanent, trouble free installation of weatherproof, green, durable, and safe flooring, facades, coatings and waterproofing for buildings. GROHE is a leading provider of premium kitchen and bath faucets, showers and shower systems. With a wide selection, there is likely a Grohe product you’d love in your bathroom. The Kohler Co. provides sinks, toilets, bathtubs, faucets, and other plumbing fixtures for kitchens and bathrooms that are distinctive and long-lasting. Moen offers a variety of high quality bathroom and kitchen faucets and bathroom showering solutions. Delta brand delivers exceptionally well-made, stylish faucets and related kitchen and bath accessories that are both beautiful inside and out. Swanstone shower products give you maximum design flexibility. Their beauty and durability make them a perfect choice for virtually any residential or commercial application. 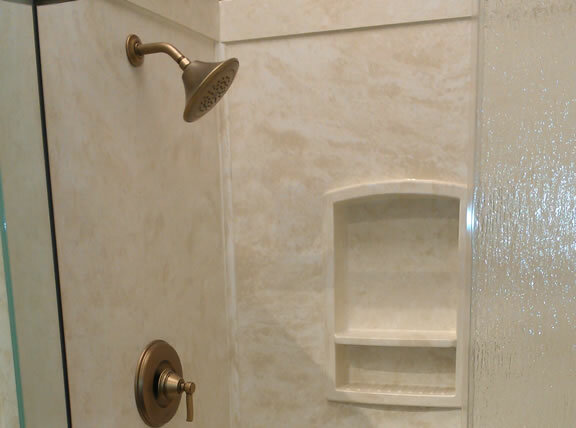 Alone Eagle Remodeling is a Dealer for Ella Bath products offering sales and installation of Acrylic and Gel Coat Walk In Bathtubs. Ella Walk In Bathtubs are a great choice whether you simply want to relax with a therapeutic bathing experience, have mobility problems, or getting a jump with Aging in Place. Yorktowne Cabinetry Specializes in the manufacture of cabinets. Includes information on styles, color palette, construction choices and decorative options. DuPont™ Corian® solid surface countertops are one of the most versatile countertop materials on the market. Cambria quartz countertops for the kitchen, bathroom and more. Your remodeling project is important to you. Alone Eagle Remodeling has plenty of experience remodeling Pennsylvania homes and we’d love to have the opportunity to transform your living spaces into the one you’ve seen in a magazine, or at a friends house, or maybe you have your own plans. We can help them become reality!